Amazon’s Big Thanksgiving/Black Friday Kindle Sale! You can also buy Amazon’s color, high-definition tablet HD6 for just $79. That’s their smaller six-inch device, but even Amazon’s seven-inch HD7 tablets are on sale for just $109. (Normally they’re $139, so it’s a savings of over 20%.) And Amazon’s also discounted their glowing “Kindle Paperwhite” readers. Their newest black-and-white readers are now finally priced below one hundred dollars — at $99. It’s a larger selection of deals than Amazon has ever offered before. (Although Amazon has traditionally started their Black Friday sales on Thanksgiving Day, instead of waiting for all the other discounts on Black Friday.) Some people are waiting in line right now to be the first through the door at the big “box” stores” for their limited-supply discounts on Black Friday. But if you’re shopping for a Kindle, you can always just enjoy the holidays at home — and then order one online! Amazon’s Kindle Fire tablet is the hottest gift this shopping season — and some great discounts have just been announced for Black Friday. To get these reduced prices, you’ll have to visit one of Amazon’s retail-store partners, like Best Buy, OfficeMax, Staples, or Office Depot. They’re reportedly not allowed to lower the actual price of the devices, so they’re doing the next best thing. 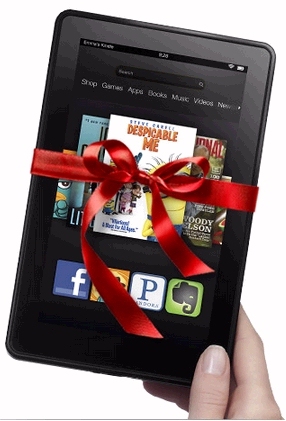 If you purchase a Kindle Fire tablet, they’ll just give you some money back in the form of a gift card! Here’s a complete rundown of all the discounts being offered on Black Friday for Kindle Fire tablets — and I’ve collected and confirmed them from reliable sources like Yahoo! Finance News. But remember that Amazon’s already offered at least one short-lived discount of their own. Earlier this month, Amazon reportedly sold Kindle Fire tablets for just $129 as one of their Lightning Deals (following a strict philosophy of “while supplies last”). So it’s always possible that when Black Friday rolls around, Amazon will unveil another stash of cheap Kindle Fire tablets — just to compete with these deals from Best Buy, Office Max, and Staples! And if you buy the cheapest one, you’ll end up walking home with an improved version of last year’s model of the Kindle Fire for just $129. This information comes straight from Office Max themselves (via a press release on Yahoo! Finance News). And in addition to their discounts on the Kindle Fire HD, Office Max is also offering a 40% discount on cases for your Kindle Fire (from the case-manufacturer Belkin). ZDNet is reporting this information came from a leaked version of the newspaper ad that Office Depot will be running for its Black Friday sales. “Office Depot has to sell Kindle Fires at the same price as competing bricks-and-mortar retailers,” writes their reporter Sean Pornoy “so it’s also dangling an incentive to purchase at its locations: You can get a $25 Visa gift card with the purchase of the second-generation Kindle Fire (non-HD version) for $159.99. Surprise Amazon Announcement: “Early Black Friday” Sales! “Black Friday isn’t until the day after Thanksgiving,” Amazon explains on a special web page, “but since you’re here already…we got the deals going a little early! So what exactly is Amazon giving away? There’s laptops, cameras, and plasma (and LED) TVs. Here’s some of the specific details that Amazon’s released about deals they’ll have this November. They’ll also be discounting expensive consumer electronics, including the Panasonic Plasma and LED television sets, and the Samsung Premium Ultrabook (series 9). In fact, Amazon’s vice president of Consumer Electronics specifically promised that for the next 21 days, their page would be featuring “a large selection of the most anticipated products of the season, all for a great price.” But if you visit the page today, Amazon will give you a peek of the “lightning deals” which are coming up later today. If you move fast, you’ll be able to get a great price on a Canon camera, an HP Pavillion laptop, and a giant 72% discount on a paper shredder. To make it easier to find gifts, Amazon’s even created their own “curated” list of the top-rated and newest items available this shopping season. That’s a screenshot of its logo at the top of this post. But there’s other big savings too – like a nearly 40% savings on a 42-inch HDTV, and a line of sale-priced ebooks. 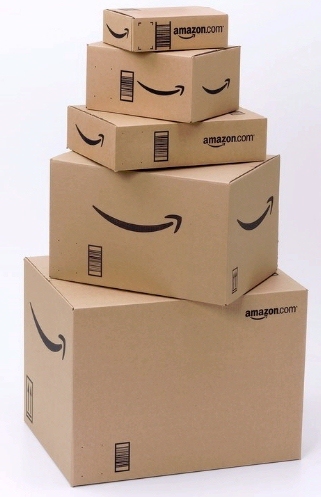 “Cyber Monday Deals Week Starts Today,” Amazon posted Sunday on a special web page, promising “low prices and sales on electronics, video games, DVDs, and more.” Last year Amazon sold more than 13.7 million things just on Monday, November 29th — which means that on average, every second they were selling 158 items. “Our customers love Cyber Monday,” Amazon said in an enthusiastic statement. But interestingly, Amazon used that press release to tout their new line of Kindles — at the regular price — before listing the other special deals. “At just $199, Kindle Fire is already the best-selling item across all of Amazon,” reported a senior PR manager at Amazon (adding “Amazon customers have made the Kindle Fire one of their favorite holiday deals already this season.”) And the second sentence of Amazon’s press release stops to acknowledge the whole Kindle line, promising that customers “will find hundreds of great deals with free shipping on millions of eligible items…along with the new $79 Kindle, $99 Kindle Touch, $149 Kindle Touch 3G and $199 Kindle Fire.” And yes, there’s even a special line of Kindle ebooks that are on sale. 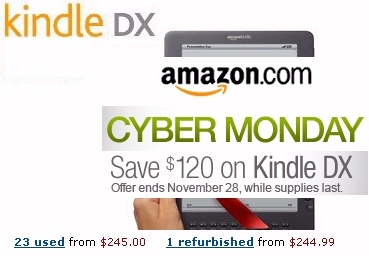 “Kindle’s Cyber Monday Deals Week features hundreds of books as low as $0.99,” announced Amazon in an e-mail today. For example, for just $3.99 you can get “Kermit Culture: Critical Perspectives on Jim Henson’s Muppets” or “Def Leppard: The Definitive Visual History. There’s even a funny novel called “How I Stole Johnny Depp’s Alien Girlfriend” (for $3.99), and for $1.99, there’s an Oxford Press biography about the life of Dr. Seuss. And for $2.99, there’s also an illustrated version of Marilyn Monroe’s autobiography, and a collection of “frank” writing by 28 women that was edited by Erica Jong! Browse the whole list of bargain ebooks by pointing your computer’s web browser to /tinyurl.com/CyberMondayBooks . Of course, there’s some other non-Kindle items for sale. (For example, all the DVDs in the “Twilight” series are on sale for a special price.) And somewhere in there is a bundle of games for the Microsoft XBox that’s being offered at a $100 discount. It’s the unofficial holiday of bargain shoppers everywhere. 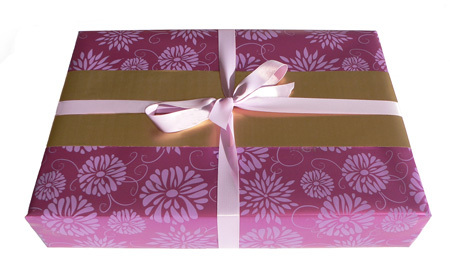 So if you’re in the market for some online shopping fun…happy Cyber Monday! Amazon Announces a Black Friday Sale on the Kindle DX! 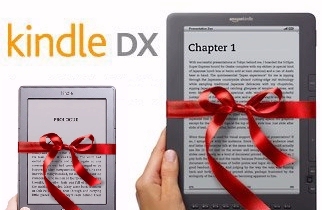 Amazon waited until Thanksgiving Day to announce a big discount on the Kindle DX. The “giant Kindle” with the 9.7-inch screen is now on sale for just $259 — a massive 32% discount from its usual price of $379. (Just point your computer’s web browser to TinyURL.com/BlackFridayDX ) It’s a “while supplies last” deal, which ends on Monday, November 28th. Is this another sign that Amazon is clearing out their inventory of older Kindles? It’s still more expensive than Amazon’s cheap $79 Kindle, but Amazon seems to have aimed their announcement at true fans of the Kindle. Calling it a “Black Friday Deal (a day early),” Amazon apparently announced the deal only on the Kindle’s page on Facebook. And within two hours, it earned 98 “like” votes, and drew 49 comments (like “Love love love my DX” and “GIANT KINDLE!”) In fact, 32 even shared Amazon’s announcement on their own Facebook pages. 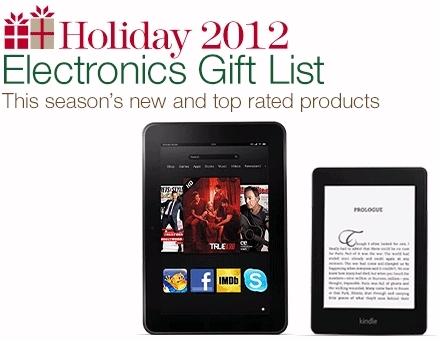 But I think Amazon’s trying to sell off their remaining Kindle DX devices. Maybe they’re planning on releasing a DX-sized version of their color Kindle Fire tablet. There’s already rumors that Amazon’s working on larger tablets, and they’ve found their way to the well-respected technology blog, VentureBeat “According to DigiTimes, the Taiwanese blog with deep connections in manufacturer supply chains, Amazon is preparing to release the device in new 8.9-inch and 10.1-inch screen sizes,” they posted Monday. I love my Kindle DX, and despite the launch of the Kindle Fire (and despite my purchase of a new $79 Kindle), the DX is still my favorite. The e-ink screens are always a joy to read, and with a Kindle DX, ther’es just more of that screen. It’s on! 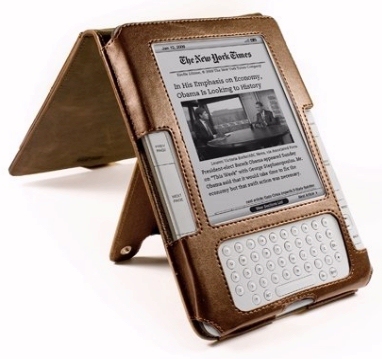 Amazon’s Kindle is now engaged in a full-fledged price war on Black Friday with both the iPad and the Nook. to just $259, offering a massive 32% discount just before Black Friday. (Point your computer’s web browser to tinyurl.com/BlackFridayDX ) But Amazon started this war in September, by creating a new Kindle that they can sell for just $79. Now Barnes and Noble has announced that on Friday, they’ll release a special, limited-edition touchscreen Nook for just $79. 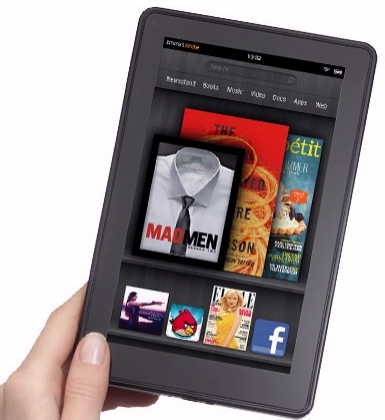 That’ll match the price of Amazon’s cheapest Kindle (which does not have a touchscreen). “The Black Friday edition is the same as the regular $99 unit available in Barnes & Noble bookstores and online, except that the Black Friday edition has a white rim,” reports the Los Angeles Times. And meanwhile, the iPad is also joining in the competition. Apple’s promising a “one-day Apple Shopping Event” on their web site, but one Apple blogger also received a flyer with the actual prices, according to C|Net. Apple’s apparently cutting the cost of the Ipad 2 by up to $61 (while the iPod Touch will be discounted by up to $41, and MacBooks and iMacs more than $100 ). It seems like Apple’s really feeling the pressure to compete with the low price of Amazon’s $199 Kindle Fire tablets. Black Friday is the biggest shopping day of the year in America, and every major shopping site seems to be fighting for a piece of the action. eBay is even creating real-world shopping spots for Black Friday outside major retail destinations in New York, San Francisco, and London, according to the Washington Post. eBay is establishing a “pop-up” presence so customers can buy eBay products while they’re out shopping (by scanning bar codes with their mobile phones!) 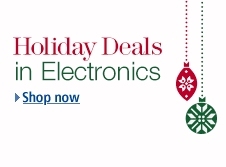 And as the Washington Post noted, “Amazon opened an online Black Friday deals store on Nov. 1. A Black Friday “Secret Sale” on Kindle Keyboards? tinyurl.com/BlackFridayDX ) But if you visit Amazon today, you’ll also see big savings on the Kindle Keyboard (which used to be called “the Kindle 3”). Now you can buy one for as little as $79.00! They’re used Kindles discounted by third-party sellers, and it looks like some Kindle owners may be upgrading to newer models, and then selling their older Kindles as a way to defray the costs! With names like “starving student” and “the Kindle Man,” they’re selling at least 50 different Kindle Keyboards at a discount — both the WiFi-Only version and the one with free 3G wireless connectivity. And at least 200 more are also being sold at a discount — on eBay! In fact, if you’re looking for a “Special Offers” version today, a used Kindle Keyboard may be your only option, since it it looks like Amazon’s sold out! Plus, by this time last year, Amazon had already announced their special sales prices (on Tuesday afternoon). 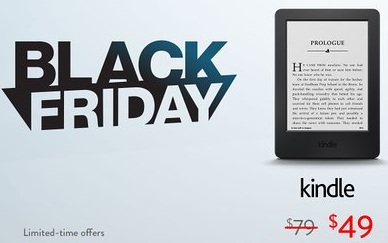 So if Amazon were planning a Black Friday sales on Kindles, they probably would’ve said something by now. What’s really interesting is that Amazon’s cheap Kindles have now spurred a kind of price war, with Barnes and Noble scrambling to offer an equally low price on Friday for their touch-screen Nook! Amazon announces $89 Kindle Black Friday deal! A few minutes ago, they snuck the announcement onto their Facebook page for the Kindle, and confirmed it on their Twitter feed. I’d thought it was just a rumor, but here’s the complete text from Facebook of what Amazon announced! Black Friday Deal: This Friday, 11/26, you can get our previous generation Kindle for $89! 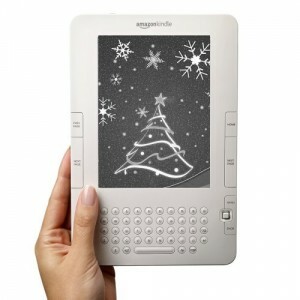 Our previous generation Kindle uses the old E Ink technology (the same E Ink as in the current Nook). Our all-new Kindle uses the latest generation E Ink (Pearl) for 50% better contrast, and is available at the everyday low price of …$139. Amazon included a link to Amazon’s Kindle page, though it points to the newest $139 Kindle rather than the earlier edition that they’re selling for $89. But within an hour, over 100 people had clicked the Facebook button to indicate that they “Liked” the news — and 47 of them left enthusiastic comments. And then Amazon added a comment themselves with a crucial “buying window” for their special offer. There’s no Kindle on that page yet, but presumably it will be updated right at 9 a.m. on Friday. Later in the day they actually deleted that comment, but they did add another one to encourage their prospective buyers. Amazon's "Black Friday" deals announced! BIG UPDATE: Amazon is selling Kindles for just $89 on Black Friday! The surprise announcement came Tuesday afternoon. It’s been a very big day for Kindle news. their special Black Friday deal: for just $89! On the web, there’d been hopeful rumors that Amazon might lower the price of the Kindle. Barnes and Noble will sell the Nook on Black Friday for just $99 at Best Buy, so it seemed like Amazon might want to lower the Kindle’s price to compete. (Though the Kindle was apparently selling just fine at its current price of just $139.) And if for some reason you miss their special deal on the Kindle, Amazon will also sell you a 32-inch TV screen for just $249. There is at least one other special offer on a Kindle. 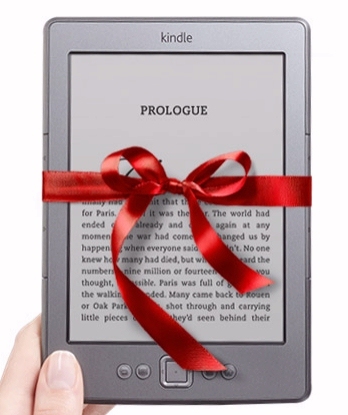 Amazon is giving away a free Kindle every day to one person selected from their fans on Facebook. (Just click the “Like” button on Amazon’s Facebook page, and then supply your phone number to be entered in their giveaway.) You can also start receiving Amazon’s deal announcements on your Facebook page. And there’s also a special Twitter feed called Amazon Tech Deals. I’m disappointed that there’s not more Kindle offerings, but I have to admit I was fascinated by an unusual new feature on Amazon’s “Black Friday week” page — their special “Black Friday Week lightning deals.” Amazon’s been doing these for a while, but this is the first big week of the holiday shopping season, so I feel they’re going to be a lot more interesting. “Lightning Deals” are only available to a limited number of purchasers, and even then for just a very short period of time. Amazon’s Black Friday page is counting down the seconds until the exact moment when each item is available for purchase. You can choose to see only items that are available now — or only new deals that are coming up — and you can even narrow the display to the specific kinds of products that are being sold. Some of the items appear to be mystery treasure chests — instead of a picture and a product name, there’s just the words “upcoming deal” and a giant orange question mark. But it looks like Amazon wants you to guess what’s for sale, since it’s usually pretty clear from the descriptions. For example, “The Griswold family goes on vacation over and over again” suggests it just might a DVD pack of Chevy Chase’s “Vacation” movies. Ironically, if I remember correctly, the Griswold family actually had some pretty miserable holidays. But I’m planning to avoid the holiday shopping stress altogether this Friday — and just curling up with my Kindle!